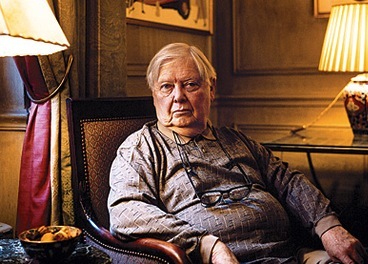 William H. Gass: There is a fundamental divergence about what literature is. I don’t want to subordinate beauty to truth and goodness. John and others have values which they think more important. Beauty, after all, is not very vital for most people. I think it is very important, in the cleanliness of the mind, to know why a particular thing is good. A lot of people judge, to use a crude example, the dinner good because of the amount of calories it has. Well, that is important if you don’t want to gain weight, but what has that got to do with the quality of the food? Moral judgments on art constantly confuse the quality of the food. I would also claim that my view is more catholic. It will allow in as good writers more than this other view will; John lets hardly anybody in the door. John Gardner: I love Bill’s writing, and I honestly think that Bill is the only writer in America that I would let in the door. For twenty-four years I have been screaming at him, sometimes literally screaming at him, saying, “Bill, you are wasting the greatest genius ever given to America by fiddling around when you could be doing big, important things.” What he can do with language is magnificent, but then he turns it against itself. Our definitions of beauty are different. I think language exists to make a beautiful and powerful apparition. He thinks you can make pretty colored walls with it. That’s unfair. But what I think is beautiful, he would think is not yet sufficiently ornate. The difference is that my 707 will fly and his is too encrusted with gold to get off the ground. Gass: There is always that danger. But what I really want is to have it sit there solid as a rock and have everybody think it is flying. Story is what can be taken out of the fiction and made into a movie. Story is what you tell people when they embarrass you by asking what your novel is about…History is often written as a story so that it can seem to have a purpose, to be on its way somewhere; because stories deny that life is no more than an endlessly muddled middle; they beg each length of it to have a beginning and end like a ballgame or a banquet. 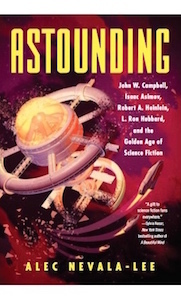 Stories are sneaky justifications. You can buy stories at the store, where they are a dime a dozen. Stories are interesting only when they are floors in buildings. Stories are a bore. I believe that the artist’s fundamental loyalty must be to form, and his energy employed in the activity of making…The poet, every artist, is a maker, a maker whose aim is to make something supremely worthwhile, to make something inherently valuable in itself. I am happy this is an old-fashioned view. I am happy it is Greek.